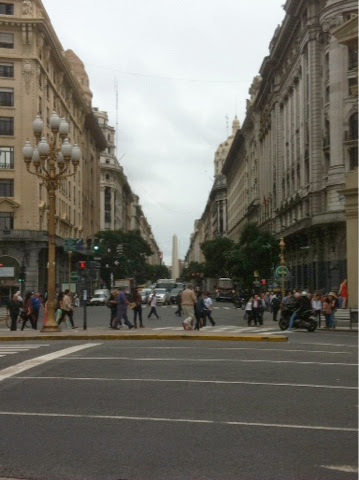 Well we arrived back in Buenos Aires around 5 pm on April 1st. We caught the Transfer Express from the airport as we were advised not to take the black and yellow cabs as they have had reports of people posing as cab drivers and robbing the tourists! This company was great. 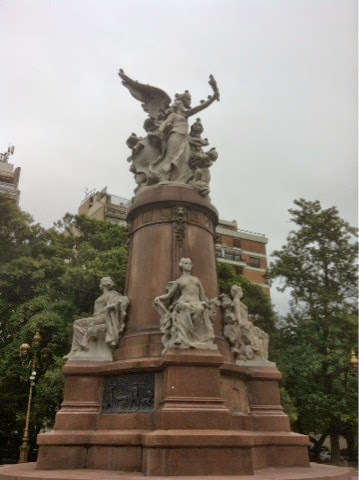 We arrived at the apartment we had rented in Recoleta and were welcomed by Ana. After settling in we go to get some groceries at a supermarket 1-1/2 blocks away and there is a "police incident" happening. At first we think they are filming a movie or something but the grocery store is closed and it's obvious something involving criminals has happened. 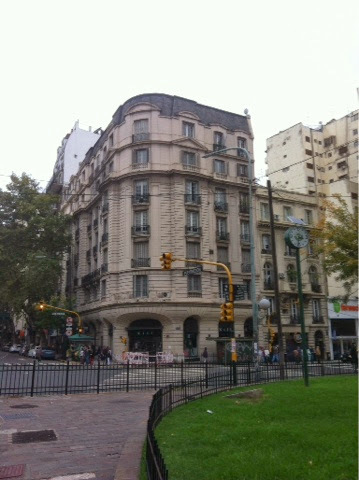 We find another store, buy some groceries and quickly return to our apartment. Never did find out what had happened but are assured that the neighbourhood is safe. 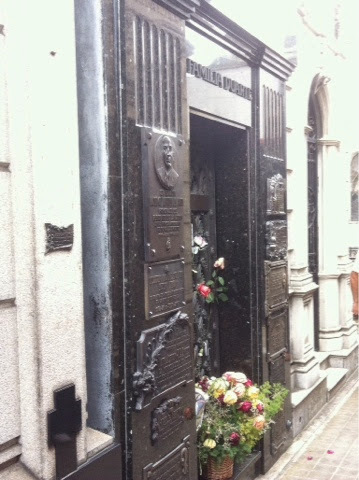 The next day we plan on scoping out the neighbourhood of Recoleta and visiting the famous cemetery where Evan Peron was buried. This cemetary is huge and very old. 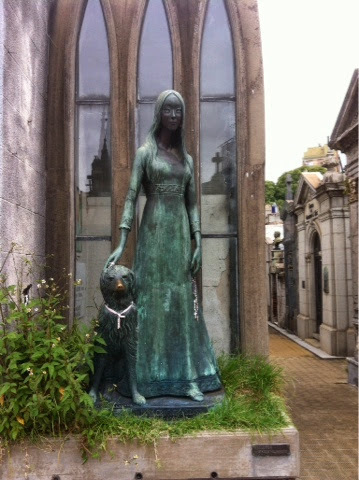 There are some very famous people put to rest here and some amazing monuments. 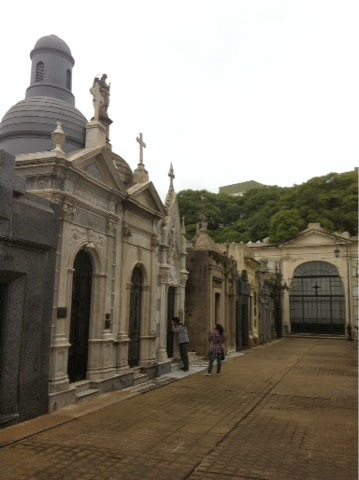 We leave the cemetary and walk around exploring the area. Beautiful architecture. We go in to one of the many pastry shops. Oooo, la, la! What goodies they have. We buy three different types of quiche for our supper and head home. Wine and quiche....yum!